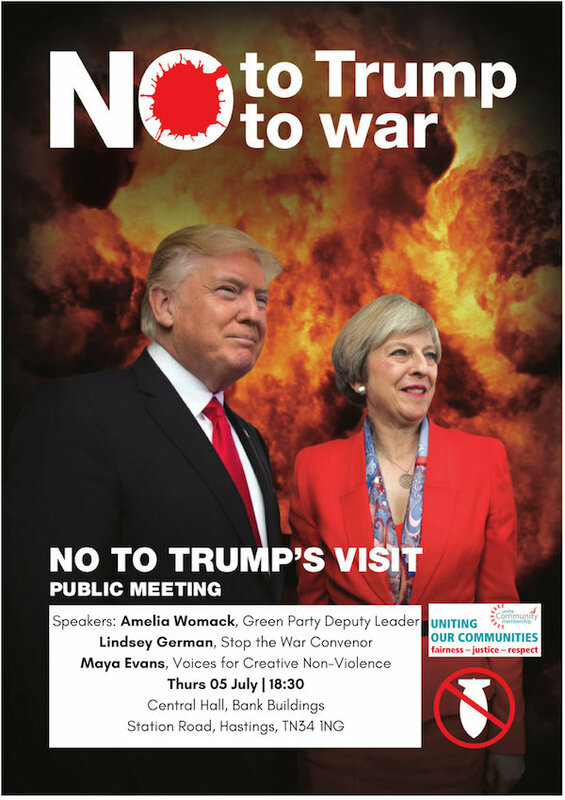 No to Trump, No to War, a meeting hosted by UNITE the Community and Stop The War, takes place on Thursday 5 July at 6.30pm at Central Hall, Bank Buildings, Station Road, Hastings TN34 1NG. 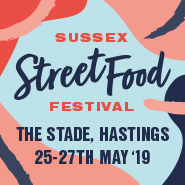 Speakers are Andrea Womack, Green Party deputy leader, Lindsey Germane, Stop the War Coalition convenor and Maya Evans, Voices for Creative Non-Violence, UK coordinator. 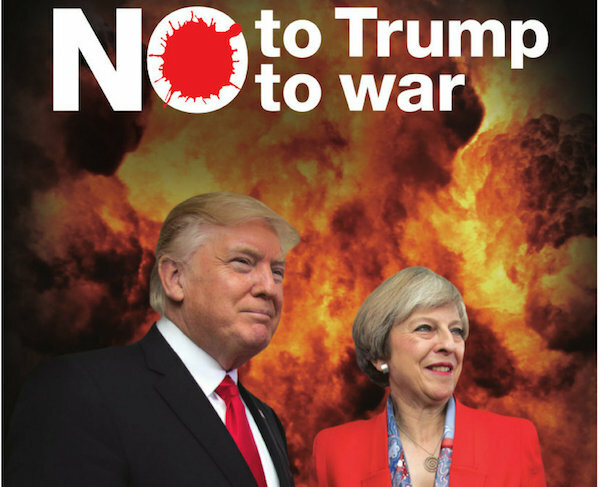 In addition, there is a national demonstration, Stand Up To Trump, planned for Friday 13 July, starting at 2pm at Portland Place, culminating in a mass rally at Trafalgar Square at 5pm.